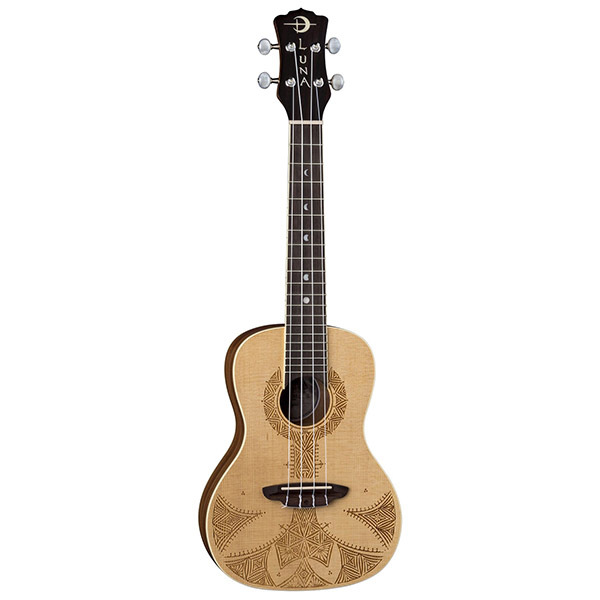 Truly a stunning instrument that needs to be seen (and played!) 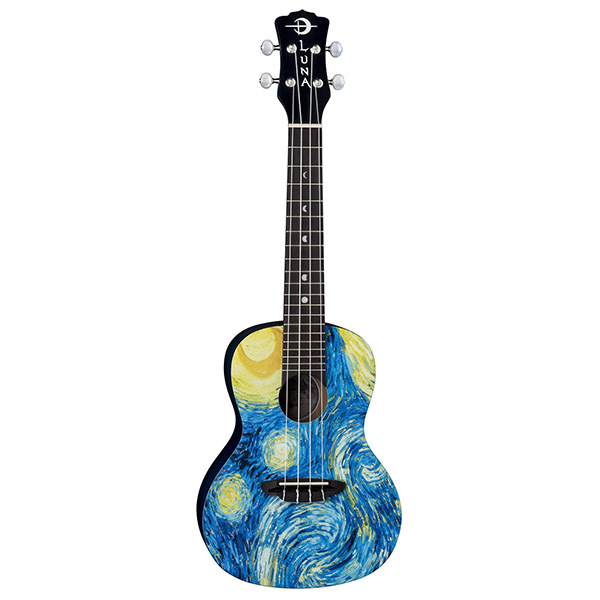 to be appreciated. 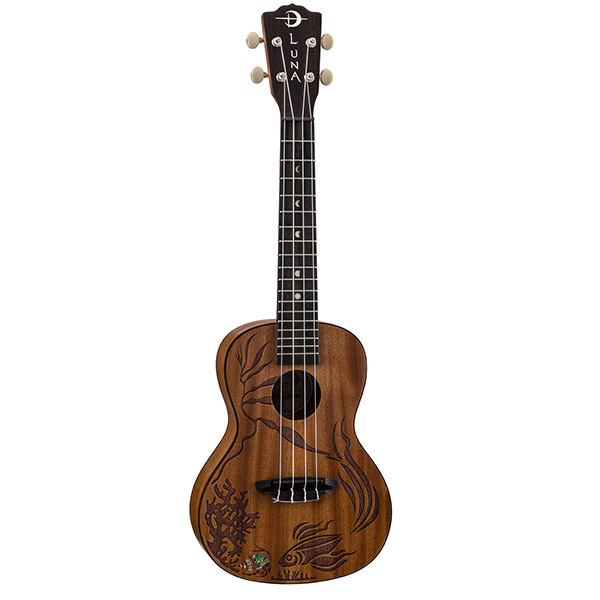 Features include a Spalt Maple wood used for the body of the ukulele, beautiful tortoise shell binding, mahogany wood neck and Luna's distinctive "Moon Phase" pearloid inlays. 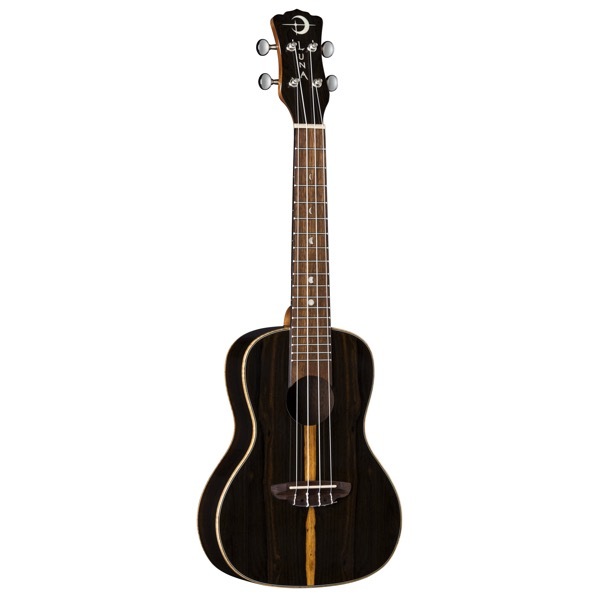 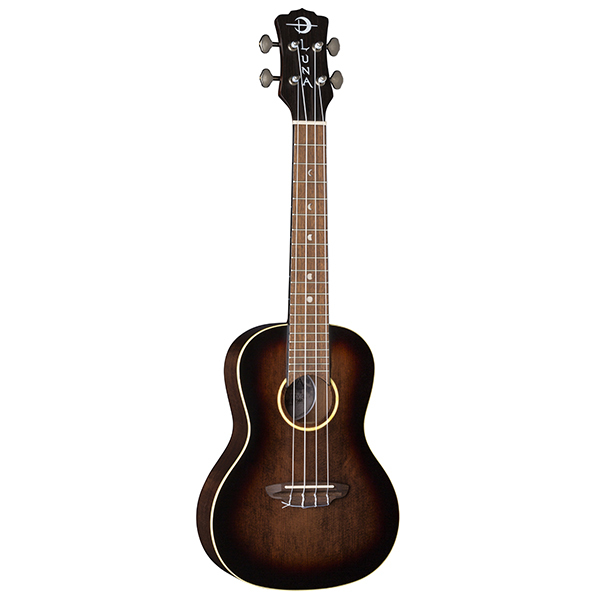 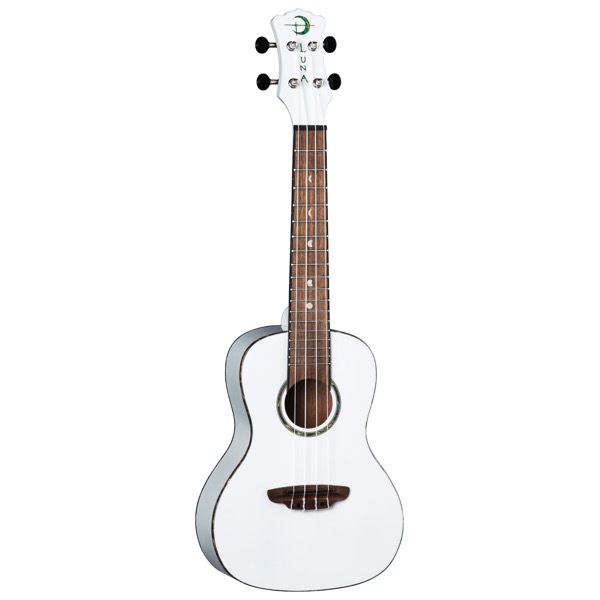 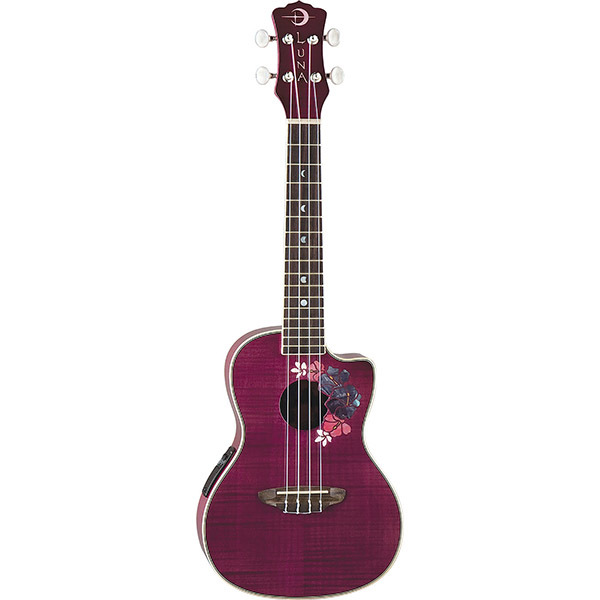 Luna Guitars' Concert Exotic Series Ukuleles invoke balmy tropic nights with a crescent moon shape soundhole.